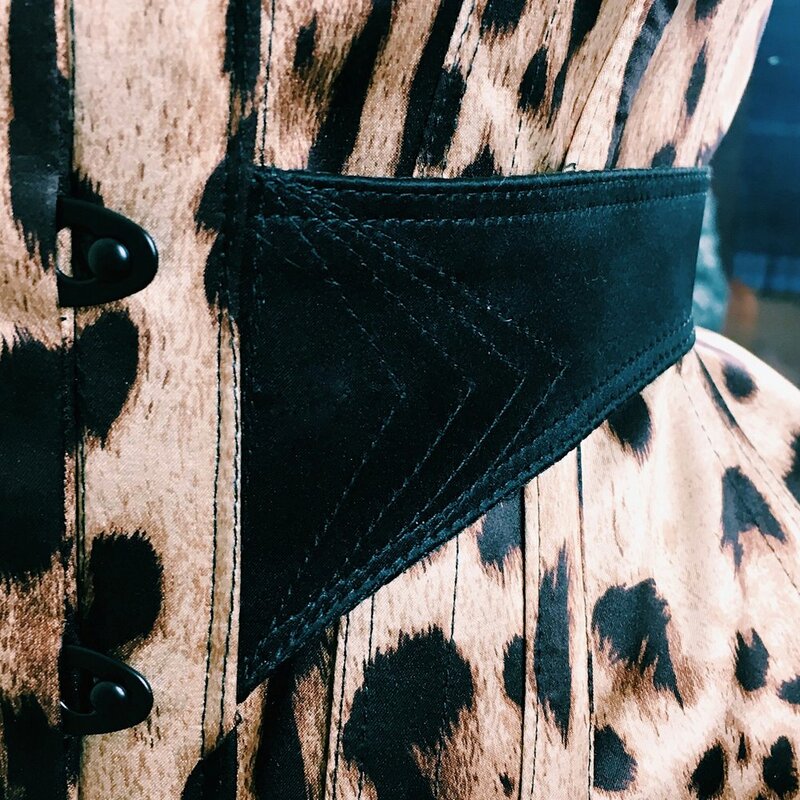 Leopard print Cathedral Corset with sheer panels over the bust, adjustable bra straps, and external belt. This corset is custom made to order in your size. It is made from 100% silk in leopard print with sheer nylon panels, cotton coutil backing, and steel corsetry components. The front busk fastner is black powdered steel to match the black metal eyelets at the back and there is a firm under busk supporting the front.